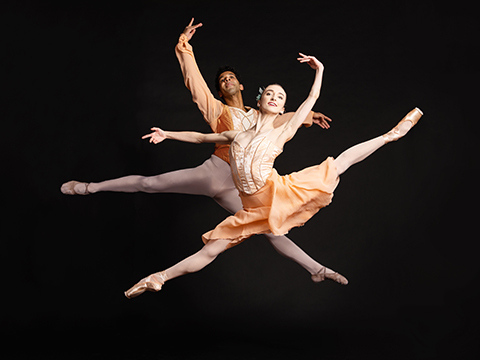 Pittsburgh Ballet Theatre’s storied history with Balanchine and Tchaikovsky is revived in this mixed-repertory production celebrating two of ballet’s greatest contributors. The music of P.I. Tchaikovsky has provided the backbone for many of George Balanchine’s most exquisite ballets, including the invigorating Theme and Variations, the expansive Allegro Brilliante and the consummate Tchaikovsky Pas de Deux, set to the classic music of Swan Lake. This special 50th Anniversary event also features Diamonds, the brilliant third movement of Balanchine’s Jewels. Friday, April 17, 2020 – 8 p.m.
Saturday, April 18, 2020 – 8 p.m.
Sunday, April 19, 2020 – 2 p.m.